Did you get a chance to see last night’s “super Moon”? Weather permitting, it put on a nice show — especially as it rose above the horizon! 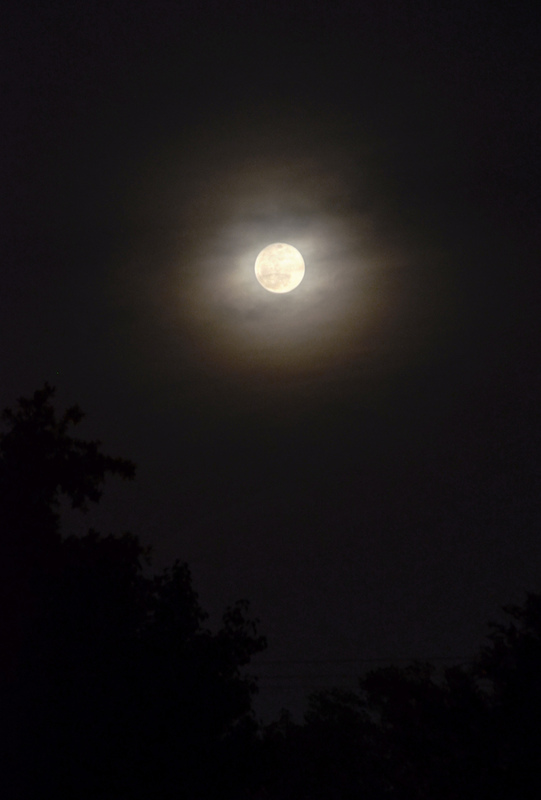 The photo above was taken at about 9:00 p.m. central time from Dallas, TX. It was a bit hazy in the sky but the Moon had a yellow glow still, which soon faded to brilliant white as it rose higher. You know, like every full Moon, basically. But even though the super Moon is really just a full Moon that’s at perigee — the closest point in its orbit around Earth — it actually IS a little brighter in the sky. Up to 30% brighter, in fact, and even though that’s hard to measure with your eyes (it’s not like there’s a “regular” Moon next to it for comparison) there is a sense of something a little more intense about it. I guess 31,000 miles does make a difference! Previous Post Are You Ready For Saturday’s Supermoon?